On Passover, we celebrate how G‑d took the Jewish People (Israelites) out of Egypt, where they had been enslaved by Pharaoh. With Moses as His representative, G‑d brought 10 plagues upon the Egyptians until they agreed to send the Jews from their land. Jacob and his children had arrived in Egypt to be close Joseph; he was second in command to King Pharaoh, and with his ingenuity had saved the people of Egypt, and by extension those from neighboring countries, from death by famine. 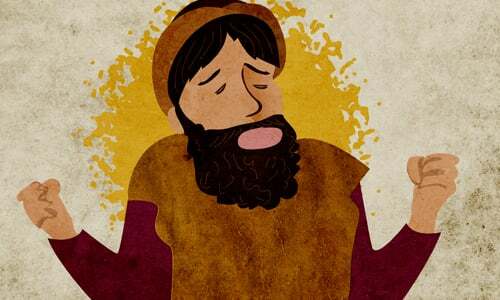 Jacob and his children were settled in the city of Goshen and prospered wonderfully—their numbers grew and grew. As long as Jacob's son's are alive, the Children of Israel are accorded honor and respect, but after the passing of Joseph, "There arose a new king in Egypt who knew not Joseph"--some commentaries say, chose not to know Joseph--"And he said to his people. 'Behold the Children of Israel are more and mightier than we. Come, let us deal wisely with them; lest they multiply...'"(Exodus 1:8-10). The Egyptians' way of dealing with their "Jewish Problem" is to enslave the Jews. They are all forced into backbreaking labor, compelled to build cities of treasure houses for Pharaoh. But still, the Jews continue to multiply, to Pharaoh's eyes, at an ever frightening pace. To put a stop to this, Pharaoh summons the Jewish midwives, Shifra and Puah, and commands them to kill all Jewish newborn males. This, he is certain, will put an end to the propagation of this race. When the midwives defy his order, he commands that they cast all the newborn males into the Nile—his stargazers had predicted that the savior of the Jews would die through water—and Pharaoh hopes his plan will ensure an early death for any potential Jewish leader. Jocheved, the wife of the Levite Amram, gives birth to a son. Because he is born three months early, she is able to conceal him for that amount of time. When she can no longer hide him, she builds a small water-proof cradle and puts her child on the brink of the Nile. The child's sister, Miriam, hides among the brush to watch the child. Pharaoh's daughter comes to bathe in the river when she sees the floating cradle. When she opens it and sees the weeping baby, she realizes that this is a Jewish child, but her compassion is aroused and she resolves to take the baby home. She names him Moses "he who was drawn from the water." Miriam approaches the princess and offers to find a wet-nurse for the baby. When Pharaoh's daughter accepts, Miriam brings her Jocheved, whom Pharaoh's daughter hires to nurse and care for the child. When Moses grows older, he is returned to the palace, where Pharaoh's daughter raises him like a son. As a young man, Moses leaves the palace and discovers the hardship of his brethren. He sees an Egyptian beating a Hebrew and kills the Egyptian. The next day he sees two Jews fighting; when he admonishes them, they reveal his deed of the previous day, and Moses is forced to flee to Midian. There he rescues Jethro's daughters, marries one of them—Zipporah—and becomes a shepherd of his father-in-law's flocks. 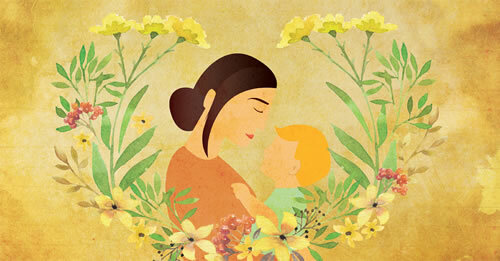 In the meantime, the plight of the Children of Israel in Egypt worsens, "and their cry rose up to G‑d." 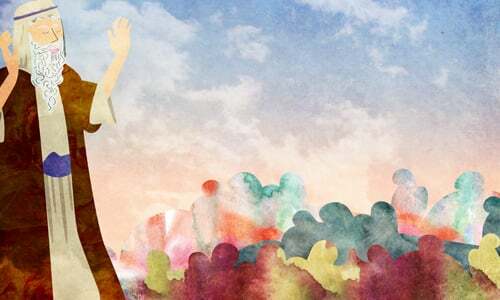 As Moses is shepherding his flock, he comes upon a burning bush, in which G‑d appears to him and instructs him to go to Pharaoh and demand: "Let My people go, so that they may serve Me." Moses objects, citing a speech defect he acquired while in the palace, and so Moses' brother, Aaron, is appointed to serve as his spokesman. In Egypt, Moses and Aaron assemble the elders of Israel to tell them that the time of their redemption has come. The people believe; but Pharaoh refuses to let them go and even intensifies the suffering of Israel. He increases the burden of labor on his Hebrew slaves, commanding their taskmasters to cease bringing the Israelites straw to make the bricks. Now, they must go to the fields to collect the straw themselves, but maintain the same quota of brick production. Moses can no longer bear the pain of his brethren; he turns to G‑d saying, "Why have You done evil to this people?" G‑d promises that the redemption is close at hand, "Now you shall see what I will do to Pharaoh; for with a strong hand shall he let them go, and with a strong hand shall he drive them out of his land." G‑d then reveals Himself to Moses. Employing the "four expressions of redemption," He promises to take out the Children of Israel from Egypt, deliver them from their enslavement, redeem them and acquire them as His own chosen people at Mount Sinai; He will then bring them to the Land He promised to the Patriarchs as their eternal heritage. Moses and Aaron repeatedly come before Pharaoh to demand in the name of G‑d, "Let My people go, so that they may serve Me in the wilderness." Pharaoh repeatedly refuses. Aaron's staff turns into a snake and swallows the magic sticks of the Egyptian sorcerers. Pharaoh still refuses to let the Jews go. Moses warns him that G‑d will smite Egypt. Pharaoh remains impervious. G‑d begins to send a series of plagues upon the Egyptians. In the throes of each plague, Pharaoh promises to let the Children of Israel go; but he reneges the moment the affliction is removed. 6) painful boils afflict the Egyptians. 7) Fire and ice combine to descend from the skies as a devastating hail. Still, "the heart of Pharaoh was hardened and he would not let the children of Israel go; as G‑d had said to Moses." The people of Egypt have suffered too much. They beg Pharaoh to let the Jews go. 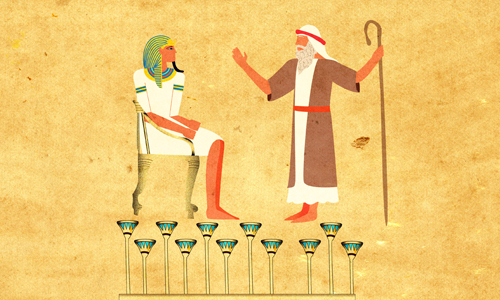 When Moses comes to warn Pharaoh of the eighth plague, Pharaoh says: You say that you want to go serve your G‑d? I'll let the men go, as long as the women and children stay behind. No, says Moses, we must all go, men women and children, cattle and herds. Pharaoh once again refuses. The next plagues descends upon Egypt. 9) a thick, palpable darkness envelops the land. The Israelites are instructed to bring a "Passover offering" to G‑d: a lamb or kid is to be slaughtered and its blood sprinkled on the doorposts and lintel of every Israelite home, so that G‑d should pass over these homes when He comes to kill the Egyptian firstborn. The roasted meat of the offering is to be eaten that night together with matzah (unleavened bread) and bitter herbs. 10) all the firstborn of Egypt are killed at the stroke of midnight of the 15th of the month of Nissan. The death of the firstborn finally breaks Pharaoh's resistance and he literally begs the Children of Israel to leave his land. Following G‑d's command, they hastily depart; so hastily that there is no time for their dough to rise, and the only provisions they take along are unleavened. Before they go, they ask their Egyptian neighbors for gold, silver and garments, emerging from Egypt a wealthy nation. 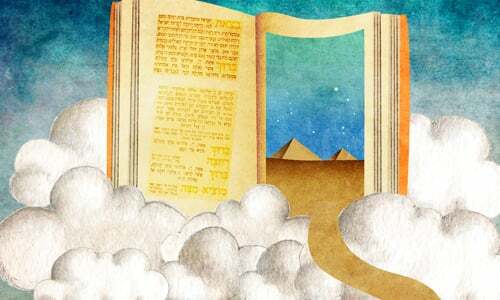 The Children of Israel are commanded to observe the anniversary of the Exodus each year by removing all leaven from their possession for seven days, eating matzah, and telling the story of their redemption to their children. Soon after allowing the Children of Israel to depart from Egypt, Pharaoh chases after them to force their return, and the Israelites find themselves trapped between Pharaoh's armies and the sea. G‑d tells Moses to raise his staff over the water; the sea splits to allow the Israelites to pass through, and then closes over the pursuing Egyptians. 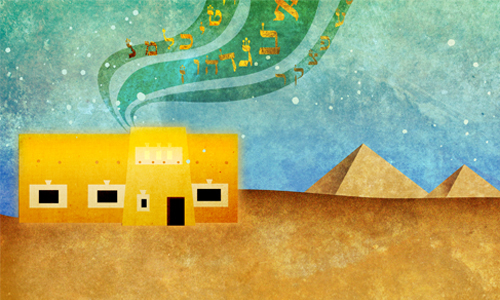 Moses and the Children of Israel sing a song of praise and gratitude to G‑d. why ? why so much suffering ? like Moses asked? Gd is all powerful so why not make beautiful miracles instead of all that pain and hardship??? The roasted meat of the offering is to be eaten that night together with matzah (unleavened bread) and bitter herbs. Ask and it shall be given It was the stubbornness of the Pharaoh in not allowing the Israelites to leave in spite of a very humble request by Moses. A simple yes is all that was needed from Pharaoh when he should have realised that it was not a person's request but from G-d.